Property Marketing and Showings – Powerful local and online marketing is created for all properties, with priority exposure on multiple websites. We handle every showing personally to ensure the very best presentation of your property. Market Expertise and Pricing Strategies – As a reputable management company, we will virtually always be able to pull in higher rent prices verses owner managed properties. Equally, being true experts in our market we have the knowledge and confidence to accurately valuate and price your property. Applicant Processing – Our thorough screening procedure empowers us with the knowledge to make an informed decision and place only well qualified tenants in your investment. Lease Preparation – Our attorney drafted lease agreement and addendums are designed to protect the you as the Owner and can also be altered for the specific needs and situation for each individual property. Property Inspections – Facilitation of any necessary rental certifications and routine inspections are performed to identify preventative maintenance needs for the property. 24-Hour Emergency On-Call Maintenance Services – Our emergency line is always answered by one of our local property managers to ensure that every call is handled as a top priority. We take the headache of those after hours calls off of your plate! Property Maintenance Management – We have a full time Maintenance Manager on staff to ensure all maintenance and turnover work is handled with the utmost care. In addition, we work with a group of reputable contractors that will provide quality work in a timely fashion. Rent Collection – We collect all rent and follow up with delinquent tenants as needed. We work with a local attorney to provide representation at a reasonable fee to handle Tenant Landlord issues and disputes. Accounting Services – Through your online personalized account portal, you can see real time data 24/7. You will receive a monthly itemized report detailing all the activity on your account for your review. Year End income and expense information is provided for complete tax records regarding your rental property or investment. Online Portals and E-Pay- All tenants can communicate with us via their online portal to submit work orders, ask lease questions or notify us of any concerns. Tenants can pay rent online 24 hours a day or set up recurring payments to pay regularly each month. 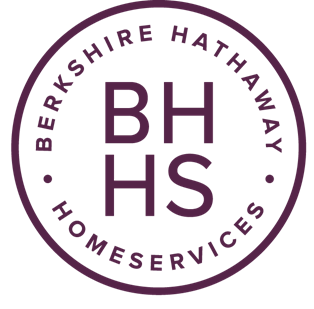 Relocation Services – The close partnership between Berkshire Hathaway Relocation and the Rental Division offers our landlords a variety of resources and ideal exposure to corporate clients. Our extensive relocation services are designed to offer corporate transferees full service relocation. Area corporations see Berkshire Hathaway Relocation and Rentals as the only option for their relocation and rental needs. Capital Improvement Planning – We will inspect your property to assess what capital improvements may be needed and collect estimates to provide you the information to make informed decisions. Multi-Family Management – We will manage your multi-family investment to provide cohesive policy and consistent communication and maintenance management services for your community to protect your liability and maximize your investment. Commercial Management – Services include property management, consultation, financial analysis, in-depth reporting, comparable lease and sale transactions, creative negotiation strategies, and the advanced skills necessary to customize each client’s real estate solution. Portfolio Expansion – We work with investors to provide rental assessments on potential rental investments.